With the music industry in ruins and no hope of ever getting that recording contract, the only way to make money in this business is to make YouTube tutorial videos or live screencast your demo’s to a global audience of people who still think there’s hope. 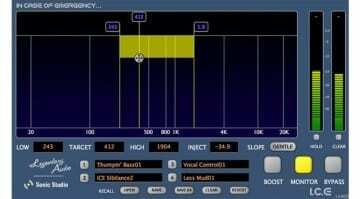 But with your DAW output going through your ASIO-driven audio interface how do you divert the sound back into Windows for broadcast or capture? I’ve wondered about this a lot as someone who runs a YouTube channel doing exactly those sorts of things. I tend to use the audio that’s picked up in the vocal microphone from the speakers because it’s there and easy and usually sounds good enough. If I’m feeling a bit more ambitious then I do my demo on one computer and have the outputs plugged into another computer that’s recording everything that happens. But if I’m also trying to do screen capture then I’ve got my video and audio in two different places which makes a live broadcast kind of awkward. 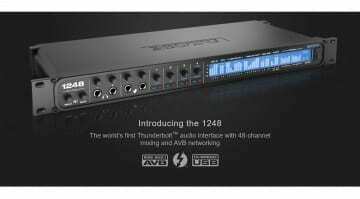 What screencasting and capture software wants is regular audio running through regular Windows drivers, and you can find yourself in the slightly ludicrous situation of trying to loop the XLR outputs on your very posh audio interface into the mini-jack input on the computers soundcard. There has to be a better way. 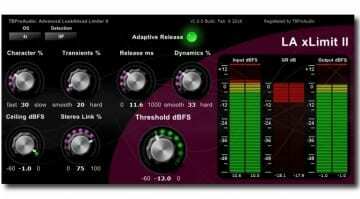 Odeus Audio offer one such solution with their Wdm2Vst and Vst2Wdm plugins. Odeus Audio make this amazing ASIO Link software that allows you to route ASIO channels to and from WDM audio devices and over a network essentially mixing all the sound sources together and letting you use whatever source and whatever destination you want. It’s awesome and a bit mind boggling and has an interface that takes you back to good old Windows 95. However, ASIO Link is a bit full-on for the relatively simple idea of running Windows audio into your DAW and so they released the catchily named Wdm2Vst which is a VST plugin that takes the output from a source using WDM and streams it into your DAW software. So, you want to sample from iTunes, BBC iPlayer or Spotify then this is your thing (assuming you’re only sampling your own music to which you hold the copyright), or perhaps your audio interface doesn’t support ASIO and WDM at the same time and so you can route YouTube tutorials through your DAW while you play your guitar along with low latency effects. Anyway, they’ve just released a new update that includes the plugin in reverse. So instead of bringing a WDM source in it takes an ASIO source out. It’s called Vst2Wdm (see what they did there?) and you drop it in as a plugin to your master output and it takes the DAW playback and makes it available as in input to your regular WDM based Windows software. So now you can do your demo or perform your music all within your DAW and use Vst2Wdm to stream the output directly to Periscope, YouTube, Facebook, Twitch or whatever live streaming service you want to use. Wdm2Vst/Vst2Wdm is one of those genius bits of software probably written by some guy in cave somewhere (he’s called John Shield and lives in Australia apparently) that’s so mind bogglingly useful that you wonder why it doesn’t come as part of Windows. 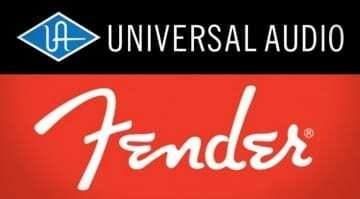 You can try it out for free and if you like it then $24.95 Australian dollars will license it for one machine with multiple machine options available for a few dollars more. 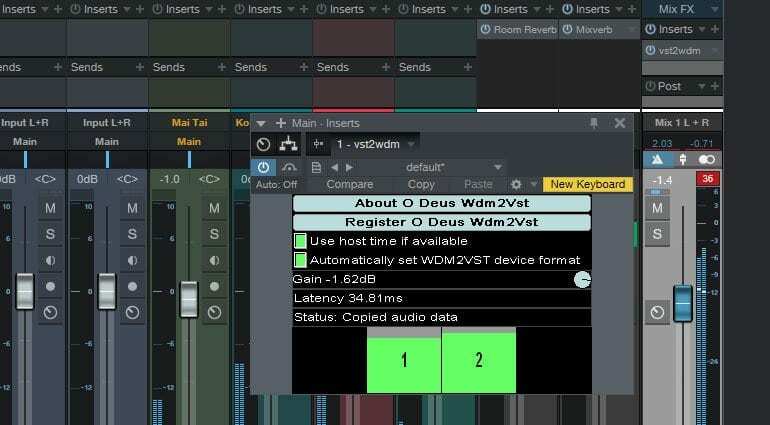 More information on the Odeus Audio Wdm2Vst product page.